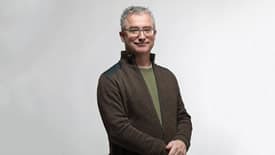 Brook Muller, director of the University of Oregon Portland Architecture Program, will become dean of the UNC Charlotte College of Arts + Architecture, effective this September. 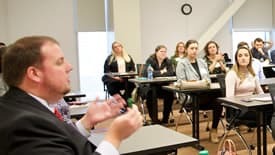 The U.S. News & World Report’s 2020 list of Best Graduate Schools rankings are out, and once again, UNC Charlotte recorded a number of superlatives. 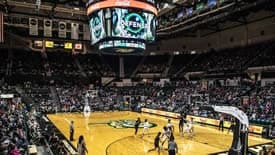 South Carolina vs. Belmont 1:45 p.m. 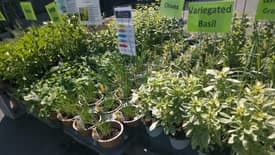 The annual Spring Plant Sale is the Botanical Gardens’ largest of the year, and it attracts crowds of plant-lovers to campus. This year’s sale, scheduled for Friday and Saturday, April 12-13, will be at the Cafeteria Activities Building (220 Cab Lane), located behind Hickory, Sycamore and Cedar Halls. 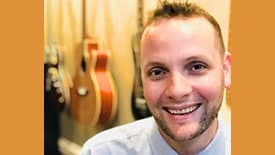 Kevin Brawley ’13, an alumnus of the Department of Music, has been named a 2019 Music Teacher of Excellence by the Country Music Association Foundation. 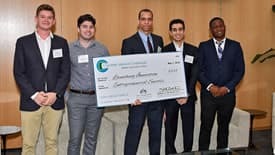 Ventureprise in partnership with UNC Charlotte's Student Organization, Global Business Brigades, will host Idea Pitch 2019 on Wednesday, April 3. 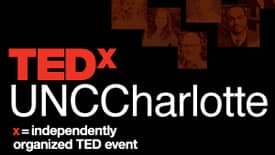 Individuals unable to secure a ticket to attend the inaugural TEDxUNCCharlotte event on Friday, March 22, will be able to view the presentations via live stream. The Office of University Communications is providing live stream coverage of the talks between 12:30 and 5 p.m.
School of Architecture students envision a new world in University City and beyond. North Carolina is the number two solar producing state in the nation—UNC Charlotte is at the forefront of this growing industry.